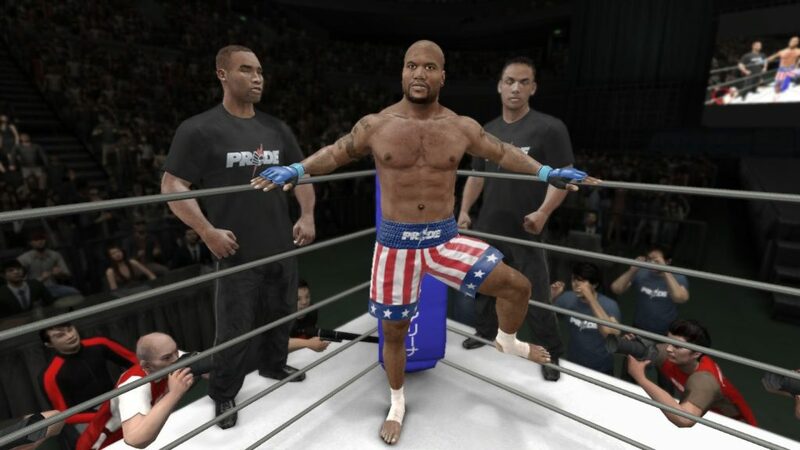 Pride Mode was included in THQs UFC undisputed 3 and it was arguably one of the greatest things in video game history, it was beautiful to experience the majesty of Japanese mixed martial arts in the video game format and plenty of people have happy memories of role-playing as Bob Sapp. Pride mode has been the most avidly requested feature from fans for EA to add in their UFC games; essentially it would allow you to fight in a ring and compete with the modified Pride rules (Knees/Elbows to grounded opponents) and the gameplay would be presented exactly as Pride was in all its Japanese glory, this would be easy to do as the UFC own all the pride licenses. When EA UFC 3 was released in 2017 many hard-core martial art fans criticized the games lackluster roster, people pointed out that many fan favorites such as Justin Gaethje, Mike Perry & Kimbo Slice were missing from the newly released game. Thankfully the EA team managed to continually support the game and brought more fighters to the game via free updates and managed to please the fans in the process. Hopefully when UFC 4 is released all fan favorite fighters are in the game on the release date and more legacy fighters are included. One of the heavily marketed aspects of UFC 3 was its career mode. The career mode was a huge improvement over previous iterations but still failed to fully immerse the player into the story and experience of becoming an octagon legend. Some popular EA Sports franchises such as Madden NFL & FIFA have implemented a “Journey mode” which tells an actual story through in game cut scenes and dialogue options, UFC 4 should try to include a journey style story mode. The story mode could be a rocky-esque story, featuring the experiences of training at an early age, getting involved in street fights and gang crime, fighting on the regional scene as an amateur all the way up to rising to UFC stardom and gaining the GOAT status. In order for EA Sports to create the journey mode for FIFA & Madden NFL they needed to utilize the Frostbite 3 engine. Without going into the techno mumbo jumbo, essentially the Frostbite 3 engine allows game developers to get better performance from video game consoles; which means they can do bigger and better things with their games. 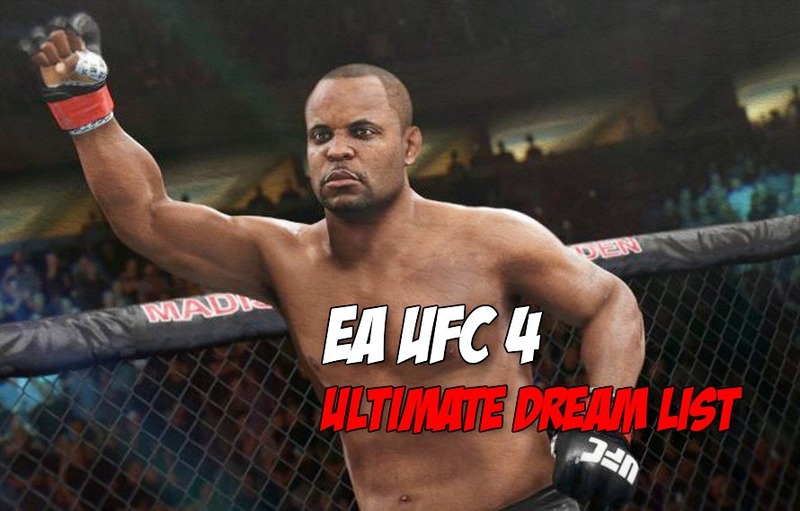 If EA decided to ditch their current game engine and use the frostbite engine for EA UFC 4 they could likely make the graphics better, they could also offer 4K support for the Xbox One X & PlayStation 4 Pro consoles. It’s also more of a possibility that they can create more animations. It even opens the door to PC and Nintendo Switch ports; if EA would be willing to release the game on said consoles. UFC 3 promised a revolution in MMA games through the use of its real player motion technology, although once release time arrived most people hated the new system and it garnered tons of criticism from hard-core UFC 2 fans. I personally trashed the game for weeks on end. Though after a lot of patching and continued support from the development team UFC 3 slowly transformed into one of the best fighting games of all time. After a few months, the UFC 3 striking system felt completely different. After careful balancing and fine tuning from the development team the striking is now almost perfected. 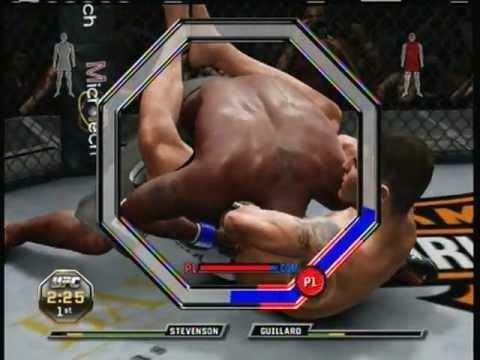 When UFC 4 releases the striking system should be 100% perfect at launch and only contain small refinements; for example, in UFC 3 it can be a struggle to land knees and elbow strikes, this is something small that could be fixed in UFC 4. Whilst UFC 3 vastly improved the stand-up game, it retained the same old grappling system from UFC 2 albeit it did add a few extra layers of polish; such as the ability to get takedowns up against the fence. In UFC 4 the ground game could be completely rebuilt from the ground up; the player could move their character around on the ground using the left analogue stick and transition using the right analogue stick, certain variables like stamina, position and where their weight is will determine how fast you can transition between different positions, players could also be able to block transitions like they could by using the right trigger and correct direction with the right stick in UFC 3. This would make the ground game just as fluid and dynamic as the striking system is. Players should also be offered the option in the settings menu to use the current version of submissions where you attempt to escape the speed gates or they can choose to use the old submission system found in WWE games and in THQs UFC games where you attempted to cover the other dot. In THQs UFC franchise they offered the player the ability to go back and relive famous MMA moments, the player was encouraged to replay the moment as true to life as possible and if they met certain targets they were offered gameplay rewards. What made this awesome was that it was accompanied by the actual UFC promotional videos and came across as authentic to the player. With the UFC license this would be easy to do and would make a change from the conventional “Fight Now” game mode. Title run mode was also a feature present in the THQ UFC games and it allowed the player to pick a fighter and try to win a title with the chosen fighter. So, you could pick eight fights and if you won seven in a row you were presented with a title shot at the end. Most players will probably already play these imaginary scenarios over in their head as they play “Fight Now” in UFC 3 but it would be an easy addition to the game. The career mode in UFC 3 was a monumental shift compared to UFC 2s but it wasn’t perfect. In THQs game they had real life gyms and coaches such as AKA, 10th planet Jiu-Jitsu and others and it made the game more immersive. UFC 4 should contain real life gyms and coaches so that when you’re playing career mode the real-life coaches like Eddie Bravo, Urijah Faber & John Kavanagh are in the actual corner offering instructions to your created fighter. They could even add real life managers into the career mode. In career mode, the player may even choose to take performance enhancing drugs which will improve their attributes and fighter’s overall skill rating but runs the risk of failing drugs tests which means they will be side-lined and their career length will be shortened. 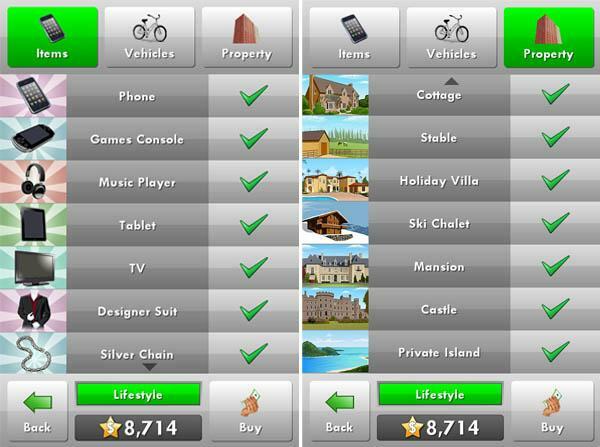 Taking inspiration from the New Star Soccer mobile game; the player could be able to buy items such as houses and expensive cars which will improve their moral; if their moral is high they will perform better at training. The presentation of the EA UFC games has largely stayed the same since UFC 1. 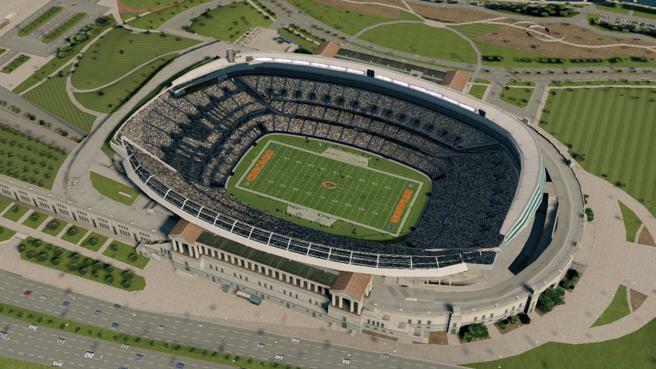 Whist other sports games have evolved, for example in Madden NFL the entire stadium is shown and aerial shots of the city and stadium are shown before the game begins, in games like NBA 2K the players are greeted to a pregame show from real life personalities. In FIFA, the crowd seems realistic. In UFC 4 before starting a fight the players could be greeted to an actual prefight show styled after the FS1 show that actually happens in real life. Before fights Joe Rogan and Jon Anik could be talking on the side-lines about the fight before the fighters walkout. Nice aerial shots of Las Vegas could be shown if the fight takes place in the T-Mobile Aren or for whichever city the fight happens in. These are all things that would make the UFC 4 presentation incredible. Commentary is also something fans of the series have been critical of. In UFC 3; Jon Anik delivered an incredible performance but Joe Rogan rarely ever talked and seemed more monotone in comparison to UFC 2, so UFC 4 must have better commentary. UFC 4 could also offer the ability to switch between commentary teams so if you’re fighting in a European stadium John Gooden and Dan Hardy commentate, if it’s a fight in MSG or the T-Mobile arena Rogan and Anik call the fights and if it’s anywhere else like the Air Canada Centre or Jeunese Arena; the fights are called by Jimmy Smith and Jon Anik. In this totally hypothetical game mode the player could play through the career of a coach, (Something akin to manger career in FIFA) they would be tasked with making sure their fighter is properly trained for their opponent and when a fight is happening the player will have to press certain buttons to offer instructions on how their fighter is going to win, so if you’re fighting against a wrestler like Khabib and your fighter is a kickboxer you could encourage them to use their jab and not kick or clinch. Whilst the player controls their coach they view the fight from the first person perspective of the coach in the fighters corner; EA could even open up this mode to use virtual reality headsets like the PS VR, so the player could use their VR headset to watch the fight from the view of the coach to get an immersive view of the fight and to experience what it’s like to be a coach. There needs to be a “President Mode” where you Can Sign fighters and give them as much money for fights as they deserve discipline fighters for Failed drug tests or acting up control Ticket prices, PPV prices, and merchandise prices. Have alot more choices for arena’s therefore you don’t have to keep going back to the same ones (Preferably 2 from ea state if possible I would reccomend save mart center as im from that area) Hire/Fire staff including fighters and Commentators and have both of them have a popularity, Ego, and money desired, fighters be able to go to different promotions for not being treated good have post-Fight interview’s along with press Conferences, and promoting fights, Make the fight cards and choose arenas, Dates, and if it’s PPV or Cable. Be able to do TV Deals (so you don’t have to worry about licensing use fake channels) choose fight bonuses have more realistic looking injuries (I.E. Broken bones and more realistic looking cuts that get bigger and bigger the more theyre hit.) Have Dr. Stoppages. Scout and sign new fighters and pay whatever you want up to $300,000,000 in one fight if it’s affordable, Have a ranking system and keep track if a fighter wins/loses throughout the mode and put it on the record through the mode which effects rankings. Have a bigger variety of referees (make the referees do more realistic things such as walking around during the fight while looking in jump in AS SOON as a KO happens or TKO (it’s not as real when a ref yells stop and the fighter stops but the ref doesn’t get there for another 5 sec give point deductions for gouging,holding to fence, ETC. Fight the card. Determine the fighter bonuses, the sponsorships that go on the matt ea fight. Just do ALL this and whatever else Dana White does as president. I really would think it’d be a VERY successful mode. As I’m tired of just the “create an event” and I have to do all of that stuff in a little college rule book. It would be an amazing mode and i would seriously (This is just me I’m saying if you put all this on just one version along with everything else from the normal and sent it to me and it can do literally everything else onlu difference is the mode) pay $100-$150 just for the one game.I know 110% forsure theres ALOT MORE people out there like me who would LOVE a mode like this in the UFC games ( cause I know at least 10 we actually work together EVERY weekend and do ALL this like I said in a little book) so please do us a favor EA if for some magical reason you do read this amazing idea and use it I thank you so much in advance because this would Make it the greatest game of all time! President Mode would be mad! I’d like a manager/trainer mode where you get to train and control multiple fighters and work towards winning belts with each of them, instead of just the one fighter in career mode. I actually enjoyed doing this in Ultimate Team but the whole card collecting thing kinda ruins the experience, and you end up fighting the same fighters over and over… I think I fought McGregor 4x in a row once. I’d like to see being able to create a fighter and actually have the new fighter not stuck at 0-0 or run a situation where fighters wins and losses are tracked like a universe mode or something to allow rankings and run your own UFC the situation instead of stuck with real wins and losses that UFC adds in real world results.